Eleven-year-old Genesis Garrett has been fishing for redfish in the Gulf of Mexico since she was a toddler, but on this day, instead of taking fish from the water, she put one in. 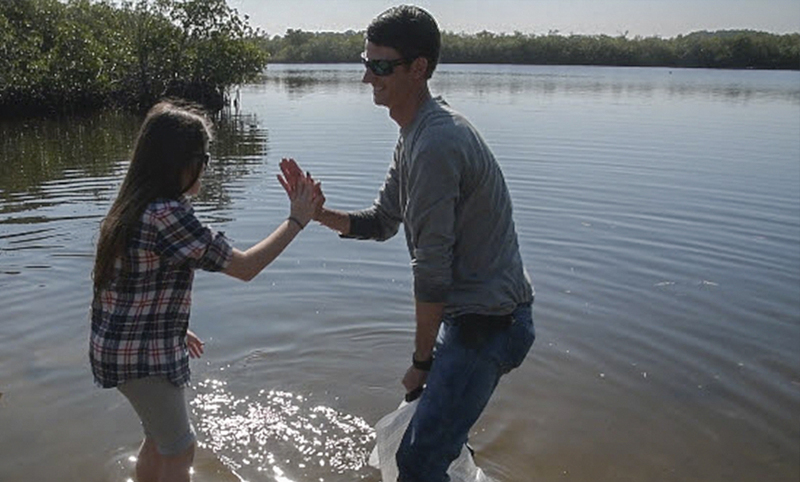 Genesis and her dad, Zachary Garrett, joined Duke Energy and Coastal Conservation Association Florida at Brasher Park in Port Richey, Florida, to release 25 adult and 2,000 juvenile redfish. 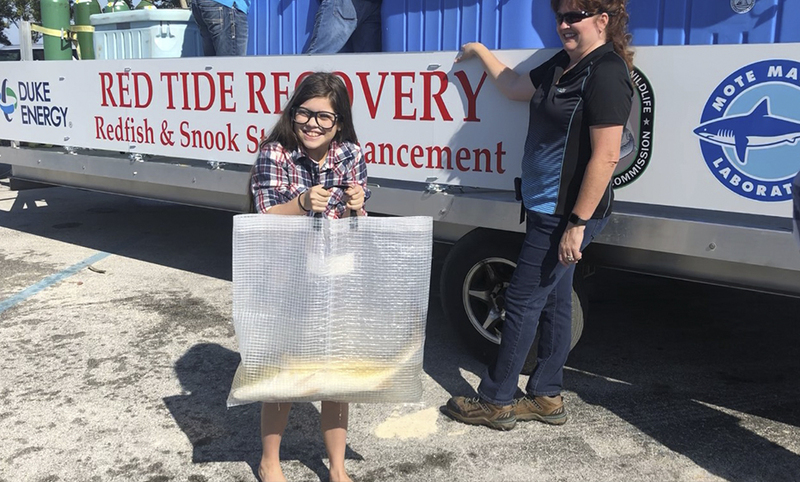 Genesis Garrett, 11, releases one of 300 adult redfish donated to red tide recovery efforts by Duke Energy's Crystal River Mariculture Center. Genesis smiled as she shuffled a release bag and a 2-foot-long redfish into the Gulf. 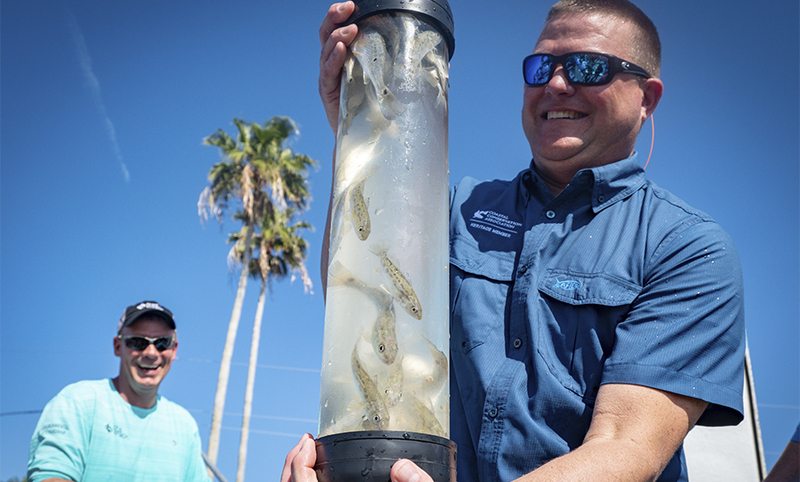 Her fish was one of about 300 adults and 16,000 juvenile redfish that Eric Latimer and his team raised at Duke Energy’s Crystal River Mariculture Center. Their goal is to help replenish the redfish population after one of the most devastating red tide blooms in Florida history. Red tide is a naturally occurring bloom of dinoflagellate (algae) that typically lasts a few days or months in late summer to early fall. 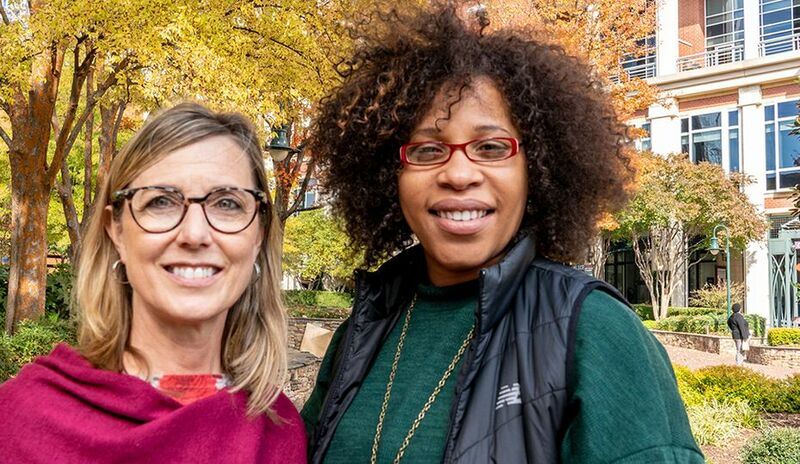 The most recent bloom began in October 2017 and lingered until early 2019, the longest since 2006. It killed hundreds of tons of manatees, sea turtles, fish and other marine life. Eric Latimer and his team raised 16,000 juvenile redfish and 300 adults, like this one, that are six to seven years old. It affected not only wildlife but an economy that relies on tourists who visit southwest Florida to fish. 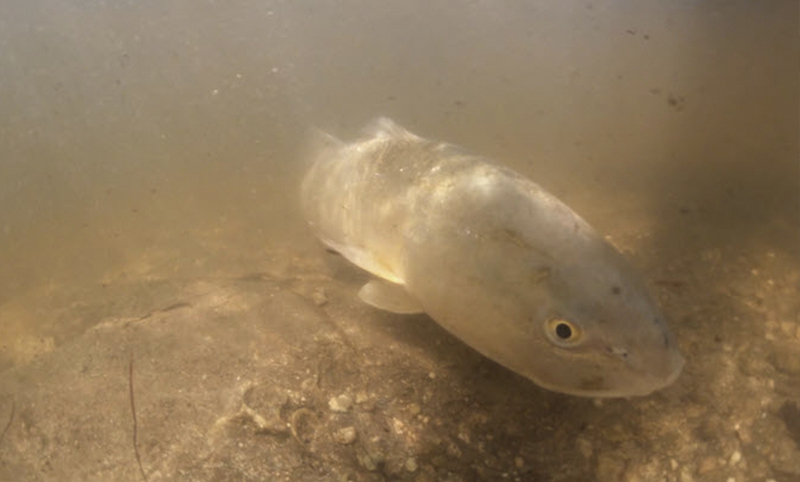 At the height of the bloom, Florida Fish and Wildlife Commission issued a mandatory catch-and-release order that extends to May 2019 in several counties to help protect two of the state’s most popular sportfish: snook and redfish. Latimer, who manages the mariculture center, was watching this on the news last summer when he had an idea. He knew he had plenty of healthy redfish, so he called Brian Gorski, the executive director of Florida’s Coastal Conservation Association, and pitched his idea to partner on a release when the water was safe. While Latimer and his team raised thousands of redfish and received permits from Florida Fish and Wildlife Commission, Gorski and the Coastal Conservation Association arranged release events in eight counties hit hardest by red tide: Charlotte, Collier, Hillsborough, Lee, Manatee, Pasco, Pinellas and Sarasota. Eric Latimer looks on as Brian Gorski shows spectators what the juvenile redfish look like before they're released into the Gulf of Mexico. The first release was in Pasco County on Feb. 5 and the last, March 19 in Charlotte County. They chose locations, like Brasher Park, that were lined with mangroves and other hiding places, so the 4-to-6-inch fish could avoid predators and increase their chances of survival. The adults, like the one Genesis released, were much bigger at 6 to 7 years old. They are anywhere from 20 to 32 inches long and weigh between 3 and 8 pounds. Each was released by hand and tagged so that anglers who catch the fish can call the number on the tag and report where they caught the fish and its details so researchers can record how the fish are doing. Gorski said they’ve been asked if 16,000 redfish will make a difference. Though it seems small, one redfish really can make a difference. A female redfish can spawn up to 2 million eggs at a time. Assuming half of the adult redfish released are female, that’s a lot of potential new redfish each year. The Crystal River Mariculture Center team from left: Cynthia Embach, Eric Latimer, Justin Branch and Rhett Gehring. 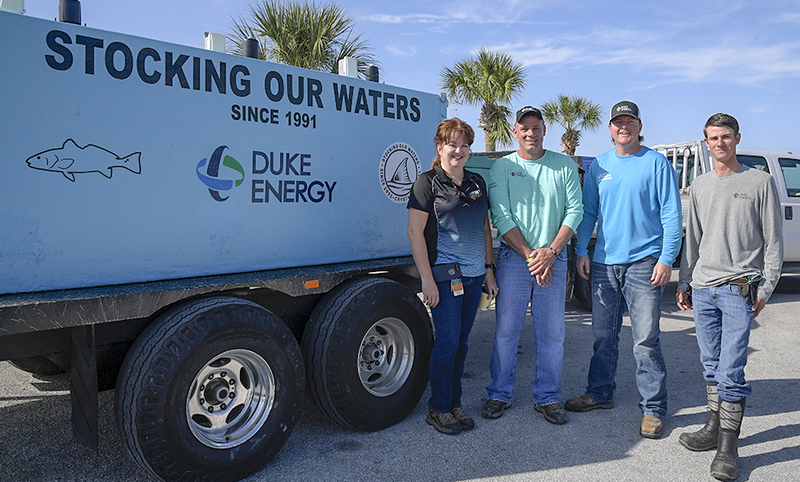 Duke Energy estimates the donation was worth $150,000 in supplies to raise the fish at its mariculture center, a hatchery that cultivates and releases several species of fish into the Gulf each year. While the monetary value is sizable, Latimer said it doesn’t take into consideration the care and ownership that he and teammates have for the fish and Florida’s wildlife. 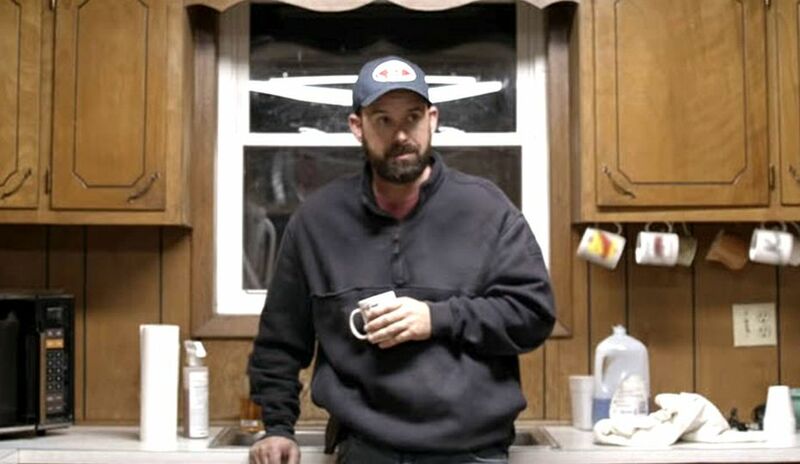 Latimer, who’s been at the center since its beginning in 1991, said he’s always looking for ways to work with others from growing eelgrass to replenish Kings Bay to working with Florida Fish and Wildlife Commission on scallop restoration. 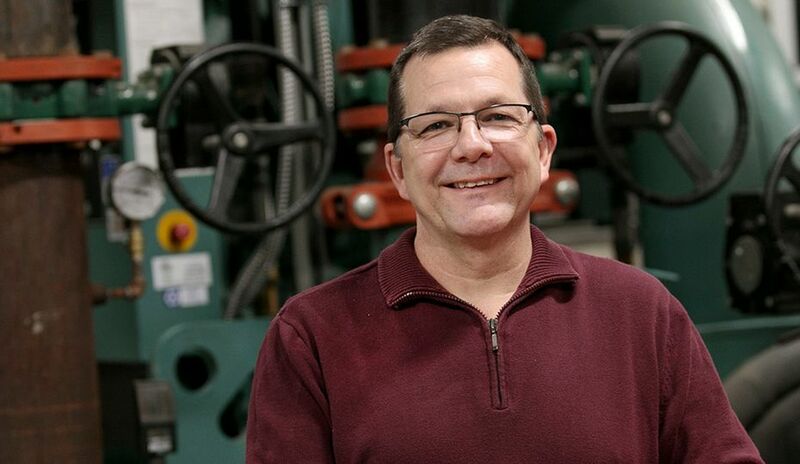 “We can’t do initiatives like these by ourselves, so partnering is the right move,” Latimer said. Rhett Gehring and Genesis after releasing the redfish at Brasher Park in Port Richey, Florida. For Coastal Conservation Association, Gorski said, the project has been true to its founding mission: the protection of redfish. Its most notable accomplishment was banning commercial fishing of redfish in the Gulf of Mexico. Last year, coupled with other red tide recovery efforts, they started the Release them for Tomorrow campaign to encourage anglers to release the fish that they catch. Why? So there are enough redfish for the next generation of anglers, like Genesis, to enjoy the sport and nature.